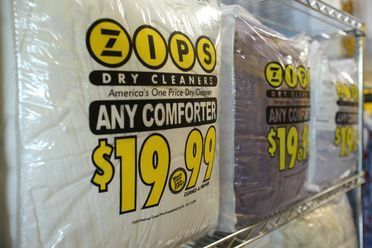 ZIPS® began as eight dry cleaners in the Baltimore-Washington metro area that have been operating since 1996. The stores joined together in October 2002 to become the largest chain of retail dry cleaners in the area. ZIPS® began franchising in 2007. Since then ZIPS® has grown to 46 stores, with an additional 250+ under development. With no organized competition and greenfield opportunities available, ZIPS is quickly becoming a favorite addition to many savvy multi-unit/multi-concept owner’s portfolios. Dry cleaning is a fragmented industry – often times you’re competing with no-name cleaners down the street. ZIPS® price and service has proved to be worth the drive. Any garment is professionally dry cleaned for the flat-rate price of $2.29. We do more for the customer. 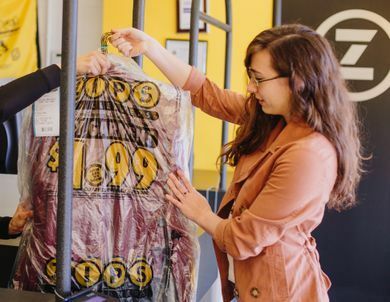 Our low price dry cleaning and guaranteed “In by 9, Out by 5” service provides high quality and environmentally forward cleaning for all of our customers. 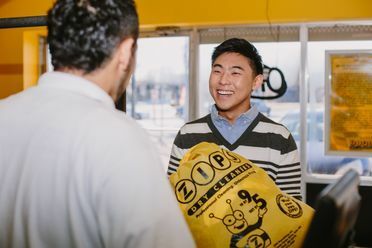 ZIPS® fast, friendly customer service technology is one-of-a-kind and allows customers to receive order status via email. Franchise locations are convenient and with multiple registers there is no need to wait in a long line. We do more to support our franchise stores. ZIPS® provides world-class training to all of our franchisees. We also provide impactful marketing that creates success right from the start. Our franchisees operate six days a week, with Sundays being closed. We do more for our market development partners. Our flat pricing model makes us a market disruptor. ZIPS® is an emerging brand with green field market opportunities available in major US markets. An industry leader, ZIPS® has a strong brand identity in a fragmented industry. Our corporate offices provide dedicated real estate and construction staff to assist interested partners. Lifestyle. Whether you choose to be an owner/operator or not, the fact that ZIPS® motto is “in by 9, out by 5″ means traditional, predictable hours, allowing you the freedom and family time you deserve. Environmentally friendly – We use biodegradable bags and offer hanger recycling at every location. Investment level. A ZIPS® franchise initial investment level, on average, ranges from $769,000-$1,022,500. Attractive to customers. Our stores are clean and BIG – 3,000–4,000 sq. 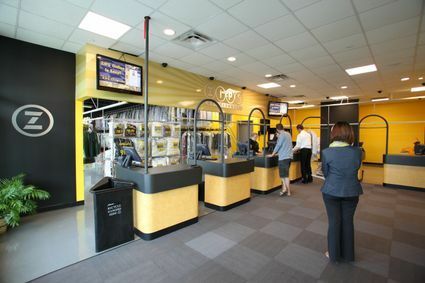 ft. Customers are entertained with ZIPSTV – promotions and helpful tips – shown on flat screens at every location. Join the ZIPS® team! Request more free information on how you can start a franchise with us today.